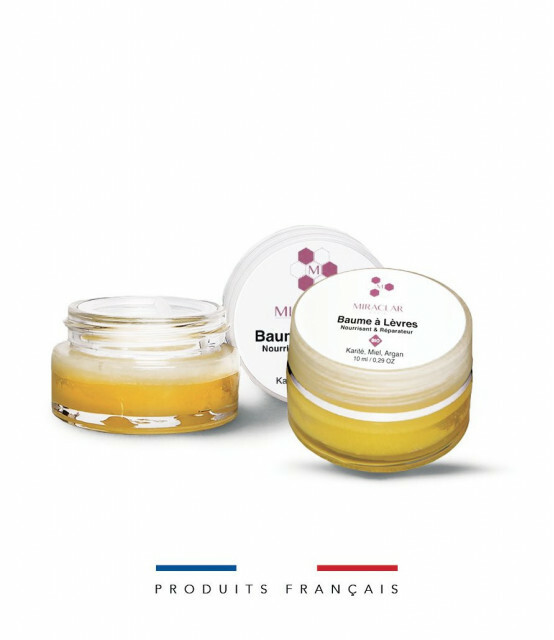 Night Cream - Miraclar Paris Repair & Detox Facial Cream is a nourishing face cream that revitalizes, smoothes and softens the skin. 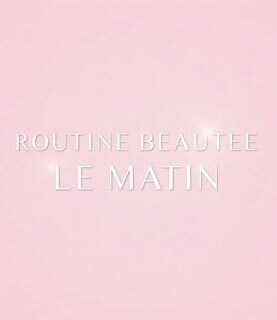 The ingredients contained in its formula with soothing, refreshing and healing properties accelerate the regeneration of the skin at night, for a comforted and revitalized face every morning. 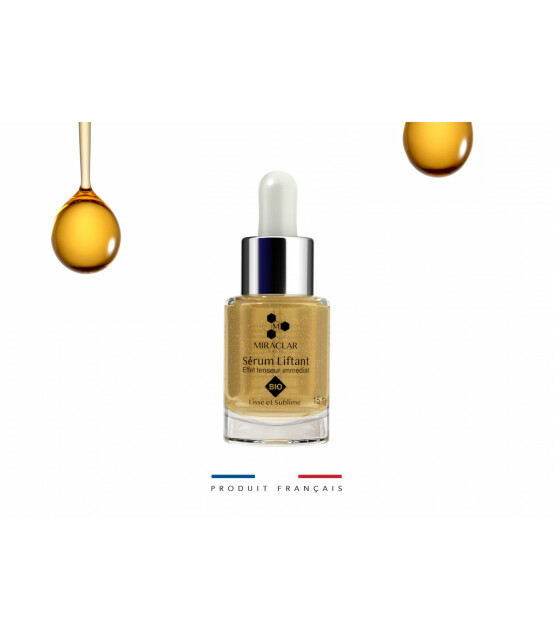 With an anti-oxidant action, this paraben-free cosmetic combats skin aging and reduces wrinkles, while restoring the protective barrier of the skin. 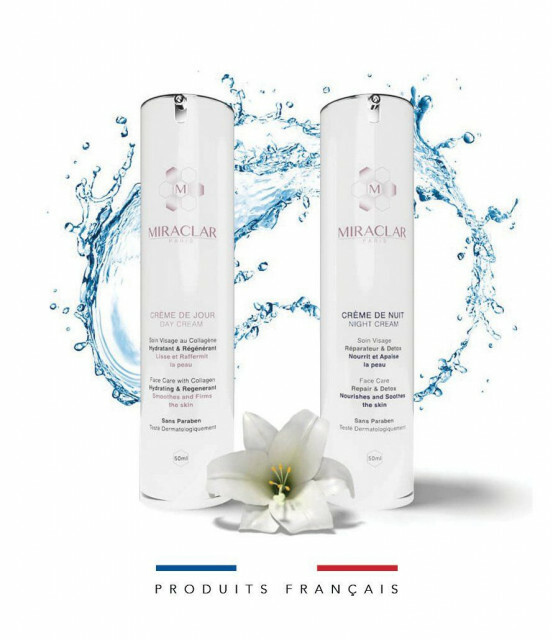 By Miraclar Micellar Lotion - Based on organic rose floral water, orange blossom, calendula and fucocert, the lotion is 99.1% composed of natural ingredients. 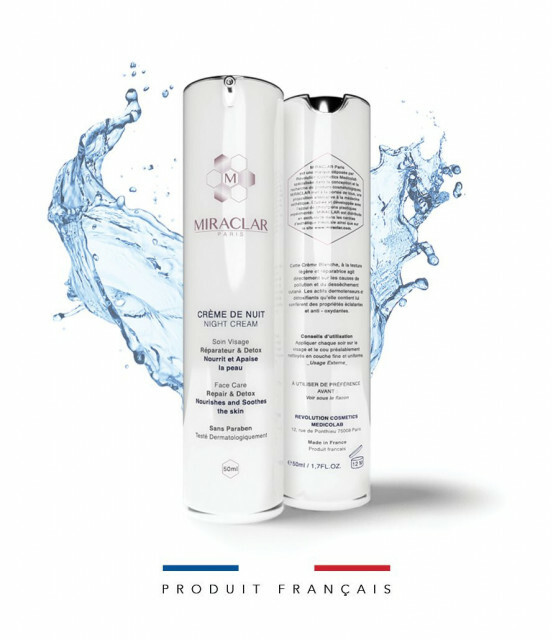 The micellar lotion cleans, moisturizes, soothes and restores radiance and soothes the skin. 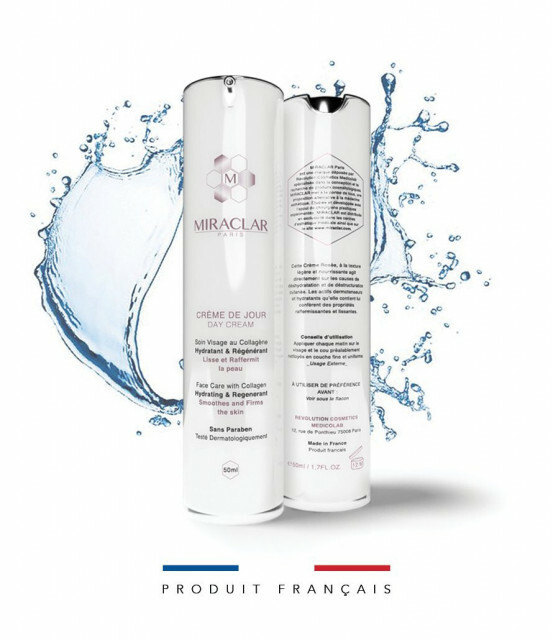 1) Cleansing: Slightly foaming, its micelles capture any trace of makeup or impurity and guarantee a cleansing of the face and eyes in all delicacy. 2) Soothing: organic Calendula water associated with a sugar, Fucose (patented active) can prevent feelings of irritation. 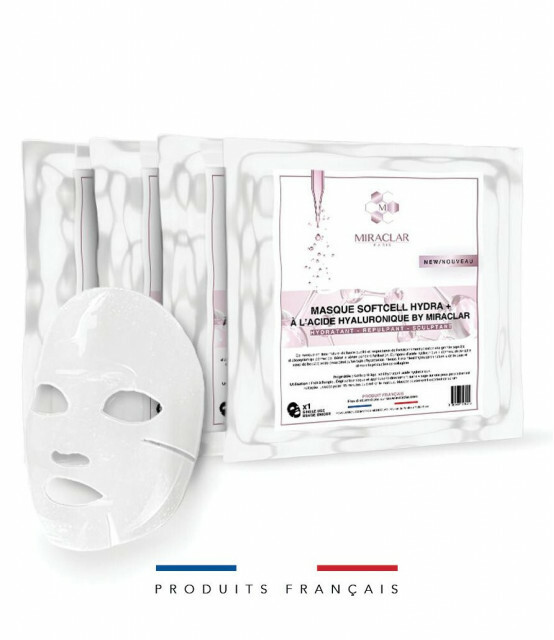 Decongested and soothed the skin will withstand daily aggressions such as pollution. Apply a few drops of the micellar lotion to a cotton pad and apply to the face and neck without rubbing or rinsing and avoiding contact with the eyes. This ritual can be repeated once or twice a day (morning and / or evening). réparatrices et aussi, revitalisantes. Le fruit contient plusieurs flavonoïdes dont le phylostérol qui possède un pouvoir anti-inflammatoire pour les peaux abîmées et sensibles. 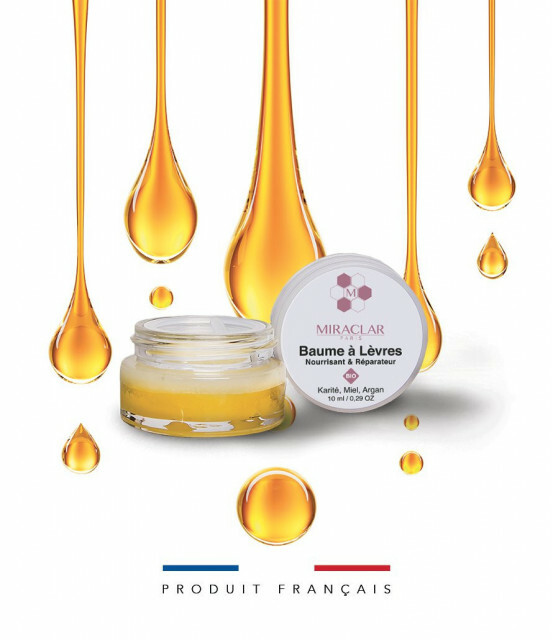 Certains de ces flavonoïdes stimulent également la micro-circulation et l’activité du tissu cutané pour combattre, d’un côté les radicaux libres et de l’autre, les signes de l’âge. L’extrait de Kigelia confère des propriétés toniques, repulpantes et raffermissantes aux soins dans lesquels il se retrouve.